We love a good factory or attraction tour, not only because they’re usually free, but because you walk away with a little more knowledge and possibly some samples. (Yes, we’re talking about you, MillerCoors and Stranahan’s Colorado Whiskey!) They’re a fun way for tourists to spend a few hours getting to know the Mile High City, but can be just as enjoyable for locals, too. 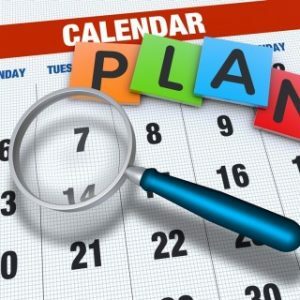 The days and hours vary, so check first before making plans. Unless noted, no reservations are required. Remember, tours are very popular during the summer, so be prepared to wait under the hot sun — bring hats, sunscreen and bottled water. Cost: $5 to $10. Since 1873, the Coors brewery has been crafting some of America’s favorite beers, namely Coors Light. The tour showcases the company’s history and passion for brewing. (Fun Fact: The tour takes place in the world’s largest single-site brewery.) The brewery experience includes a 30-minute self-paced tour highlighting its malting, brewing and packaging processes. At the end, cool off in the “fresh beer room” — where visitors can sip a cold sample and rest on ice-cube benches in a refrigerated room. Cost: FREE. Hammond’s candy factory tours are fun and educational for candy lovers of all ages. Visitors can see how its famous, handcrafted candy canes, ribbon candy and lollipops are pulled, twisted and shaped by hand – just like they were in 1920. The Mile High City is home to its one-and-only factory where guests can see how its famous candy is handmade and hand-packaged from beginning to end. It’s a sweet treat you won’t find elsewhere. Cost: FREE. Visitors will learn about the history of the United States Mint and how coins are produced for the American public. After the tour, stop by the gift shop to check out the unique memorabilia for sale. Sorry, no samples on this tour. Tours are offered Monday through Thursday between 8 a.m. and 3:30 p.m. Closed Fridays and Federal holidays. No advance tickets. You must go on-site to acquire tickets for the day. Distribution starts at 7 a.m. and is first-come, first-served. The guided tour lasts about 45 minutes. Cost: FREE. While there is no actual tour, you can still create your own adventure at the world-famous outdoor theatre and its visitor center. The park is open from May to September from 8 a.m. to 7 p.m. and October to April from 9 a.m. to 4 p.m. The beautiful views alone are worth the trip in our book. On concert dates (especially during the summer), the venue generally closes after lunch for sound checks and other technical work. Occasionally, an early afternoon set-up may require an earlier closure time. Generally, you can visit during the morning hours without a problem. To avoid any frustration, it’s best to call ahead for the day’s schedule. Cost: FREE. Must be 21 years or older. Reservations recommended. The tour lasts approximately one hour and includes an overview of the company, a guided stroll through its production brew house, still house and rack house. Visitors will also take a jaunt onto the bottling room floor for a taste of Colorado’s most precious gold, Stranahan’s Colorado Whiskey. All guests are required to have a valid ID with proof of age. Cost: FREE. Governor John Hickenlooper encourages residents and tourists alike to visit the elegant house, known fondly as “Colorado’s Home.” Built as a private residence in 1908, the house has been available for use by Governors since 1960 — both as a home and for official Governor’s Functions. Tours only run on Tuesday afternoons from 1 p.m. to 3 p.m., from June 12 to August 14. The guided journey starts every quarter hour and lasts about 45 minutes. Cost: FREE. Tour begins on the first floor of Capitol Building and consists of early Colorado history, Capitol construction, several stained glass windows, Women’s Gold Tapestry, Presidential portraits and a quick stop outside the Senate and House of Representatives chambers. Tours are offered hourly from 10 a.m. to 3 p.m. Monday through Friday. Arrive 20 minutes in advance as tours do fill quickly. Cost: FREE. Visit NCAR to learn about weather, climate, and solar science. Enjoy interactive exhibits, an outdoor weather trail, supercomputers, an art gallery and more. See a hailstone the size of a softball, watch as a miniature tornado is whipped up in front of your eyes, and get an up close look at how lightning is created. Public guided tours are offered Monday, Wednesday, and Friday at noon. On weekdays check out a tablet containing audio and video for your own tour. Or use your cell phone to tour at your own pace. Both tablet and cell phone tours offer adult and children’s versions. Open 8 a.m. to 5 p.m. on weekdays, weekends and holidays from 9 a.m. to 4 p.m., but without Visitor Center staff on weekends. Cost: $15. Reservations required and may be completed online. During the tour, hear many anecdotes and stories about the people and events that have shaped the history of this landmark hotel. The distinguished hotel has been open every day since August 12, 1892. Many changes have taken place over the years, but one thing remains the same – the grandeur and grace of Denver’s most elegant hotel. The tours are offered every Wednesday at 3 p.m. and Saturday at 11:30 a.m. and last about 75 minutes. (Children must be 10 years or older.) Due to limited space, they’re only able to accommodate up to four visitors at a time. Tours are FREE for all overnight hotel guests. Cost: $5 to $10. If you’ve ever wondered about the inner workings of an arena, visit the Pepsi Center for an all-access VIP tour. See where the Denver Nuggets, Colorado Avalanche and Colorado Mammoth call home. Plus, get exclusive backstage access to where the big names in music have performed. Visitors will also learn how they convert from a hockey ice rink to a basketball court. The “can” is a world-class arena and premier entertainment destination in the Mile High City. Cost: $6 to $9. Batter up for a behind-the-scenes look at one of the premier ballparks in Major League Baseball. Coors Field tours are available Monday through Saturday during the season and Monday, Wednesday, Friday and Saturday during the off-season. Tours last about 80 minutes and cover a distance of approximately one mile. Visitors will get to check out the Visitor’s Clubhouse (unavailable day before, day of and day after Rockies home games), Press Level, Club Level, Suite Level and Concourse areas. Available viewing areas are subject to change due to other events scheduled in the ballpark. Cost: $8. Theater lovers can explore the backstage at the Denver Performing Arts Complex, the world’s largest performance facility under one roof. The four-block, 12-acre site is home to the Theatre Company and Broadway tours, as well as the Colorado Ballet, Colorado Symphony and Opera Colorado. Tours start at 10 a.m. on Mondays and Saturdays. The 90-minute guided tour takes visitors backstage, through dressing rooms, into costume/design studios and even on stage. Due to performance-related activities, theatre access may not be available for all spaces. Cost: $12 to $15. If you’re a Broncos fan, you may be interested in a private behind-the-scenes glimpse into areas rarely seen by the public at one of the most state-of-the-art stadiums in North America. Tours are guided by knowledgeable and friendly guides from the Colorado Sports Hall of Fame and Museum. The walking tour includes several stops, including Colorado Sports Hall of Fame Museum, Executive Suites, United Club Level, NFL Visiting Team Locker Room Facilities, Keg Room, Thunder’s Stall, Team Field Entrance Tunnel, Field Level from the End Zone Area, Network Television Production Compound and TV & Radio Broadcast Facilities & Writing Press Center. The trek takes about 90 minutes and covers approximately ½ mile. Due to stadium events, all areas may not be available for viewing. Parking is FREE. Cost: FREE. Watch as flat sheets of blank paper are transformed into beautiful, full-color cards. Feel the roar of printing presses, each the size of a school bus, as they crank out two sheets per second. Follow the production process through precise cutting equipment, the rush of automated batching and super-fast machines folding 500,000 envelopes in one shift. Following the tour, stop by the Gift Shop for discounted greeting cards and unique gifts. They offer plant tours Monday through Friday at 10 a.m., 11 a.m., 1 p.m. and 2 p.m. (except major holidays.) The tour lasts about 45 minutes and covers approximately ½ mile.